OnePlus led for three consecutive quarters due to strong performance of OnePlus 6 and 6T. 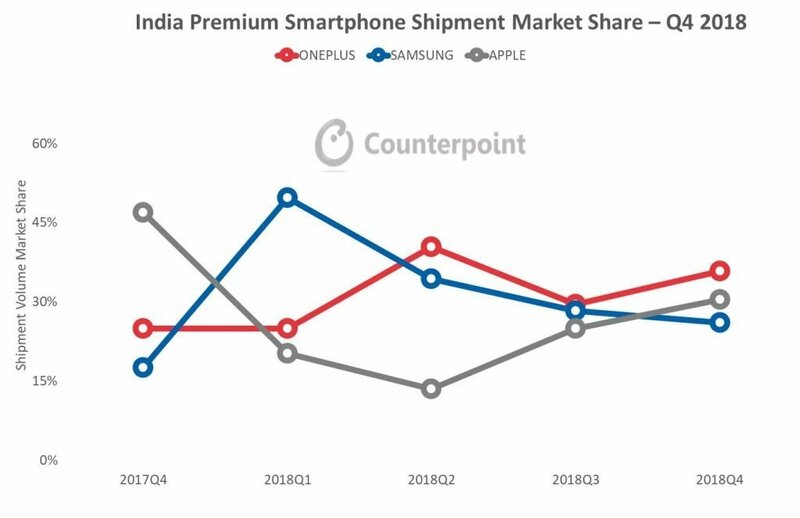 According to Counterpoint Research’s latest analysis on the Indian smartphone market, premium smartphone segment (≥₹30,000/US$400, Retail Price) shipments reached its highest ever in a quarter (Q4 2018) and a year (2018). The overall premium segment grew by 8% YoY for the full year 2018 and 16% YoY for Q4 2018. The top three brands, OnePlus, Apple and Samsung contributed to 92% of the overall premium market in Q4 2018. OnePlus recorded its highest ever shipments in a single quarter (Q4 2018) to lead premium smartphone segment for three successive quarters capturing 36% market share. This was driven by strong demand of its latest OnePlus 6T during Diwali festive season. The momentum continues even after festive season due to strong word of mouth and product feedback from the end users. 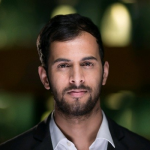 Its latest expansion into offline space along with experience stores will help it to reach potential user base in coming quarters. 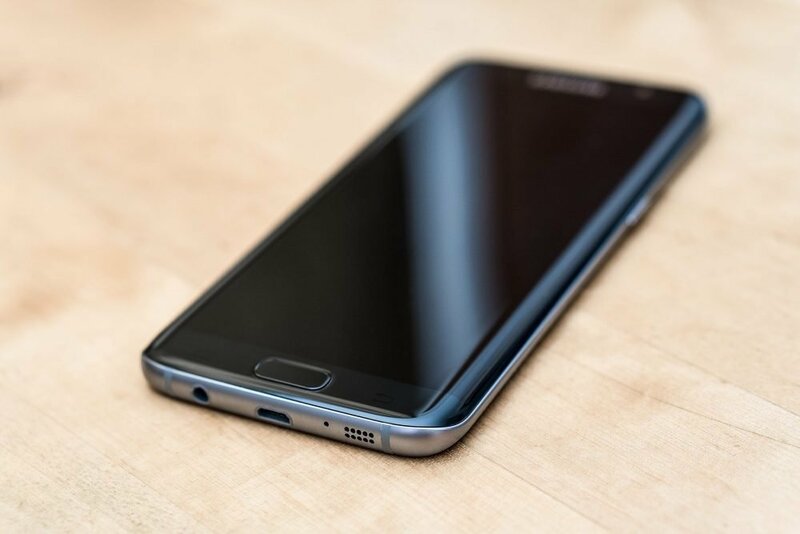 Samsung captured 26% share of the premium segment and its shipments grew 72% YoY in Q4 2018. The newly launched Galaxy A9, world’s first quad rear camera phone, in ₹30,000-₹40,000 price segment attributed towards Samsung’s growth, which is in direct competition with OnePlus. 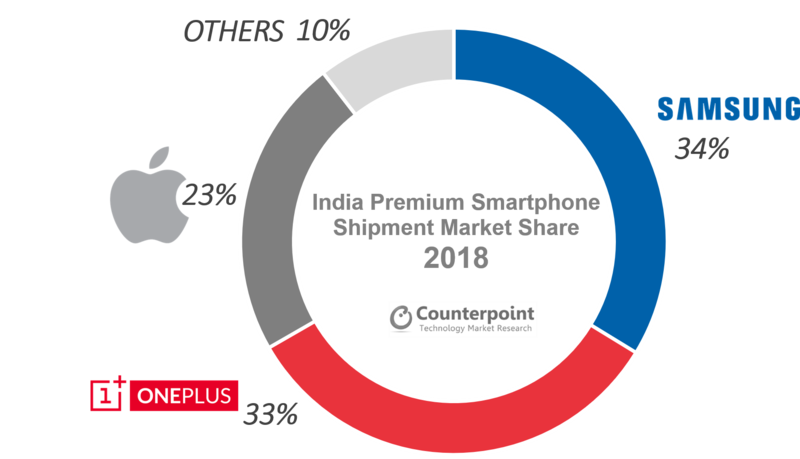 Apple’s premium segment shipments declined 25% YoY in Q4 2018 mainly due to extreme high-premium-commanding pricing for iPhones as Apple continues to choose to pay 20% import duty on new imported iPhones instead of manufacturing in India. As a result, we believe Apple to start manufacturing locally for latest iPhones in 2019 and beyond to potentially lower the current higher iPhone pricing. Competition for Apple will increase in 2019 with the entry of Android premium offerings by Chinese brands including Huawei and aggressive sales and distribution strategy from OnePlus, Samsung, Huawei and Google. The premium price band has expanded to ₹30,000-₹145,000, as a result, differentiation among premium smartphones has become more essential. We will see in this year most flagship phones to innovate on hardware by adding 5G and multi-gigabit capabilities, unibody button-less design with advance biometrics, Xtended Reality (XR) and gaming. We will see most of the popular features from last year such as multi-camera configuration, AI and notch display trickle down to below ₹30,000 segment. OnePlus 6 was the best-selling premium model throughout 2018 in terms of shipment as well as in retail value. OnePlus 6T was positioned at second place followed by Samsung S9 Plus.